Strontium offers USB On-The-Go drives (OTG drives), allows data sharing between your phone and PC on the go. Capacities starts from 8 GB to 128 GB. The drives are designed in a shock-resistant manner coupled with an attractive robust design. 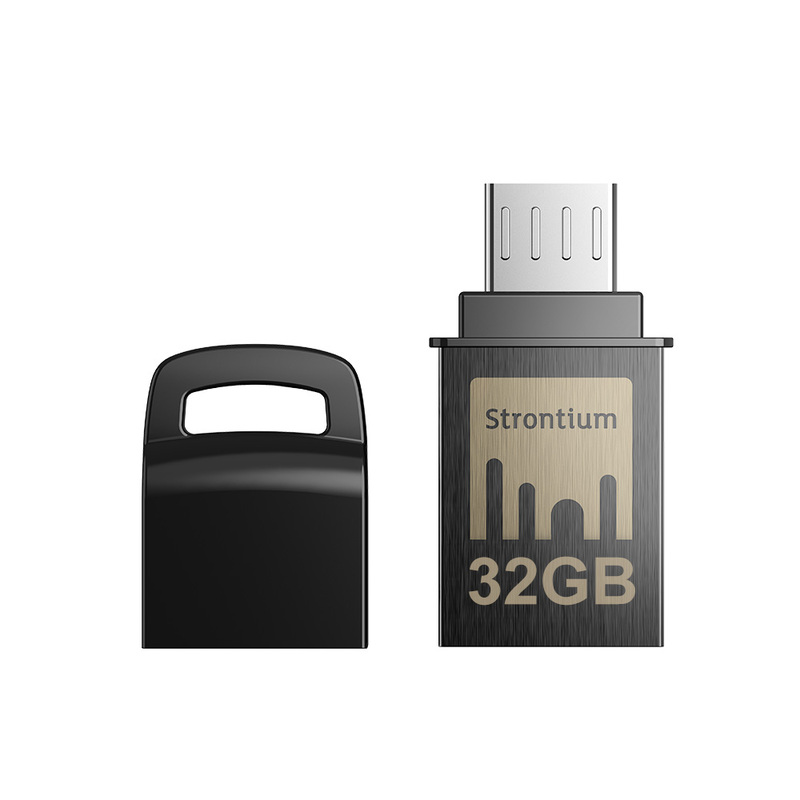 Strontium OTG Drives are compatible with all the latest mobile & computer devices, no matter if it is a USB Type-C, micro USB (type-B) or a traditional USB Type-A on your Mac or PC. Strontium® NITRO On-The-Go (OTG) USB 3.1 flash drive stores and shares digital contents such as movies, photos and music from your supported smartphones or tablets to a PC or Mac computer. Data transfer to your computer with a high transfer rate of up to 150MB/s**, less waiting time compare to a USB 2.0 connectivity. 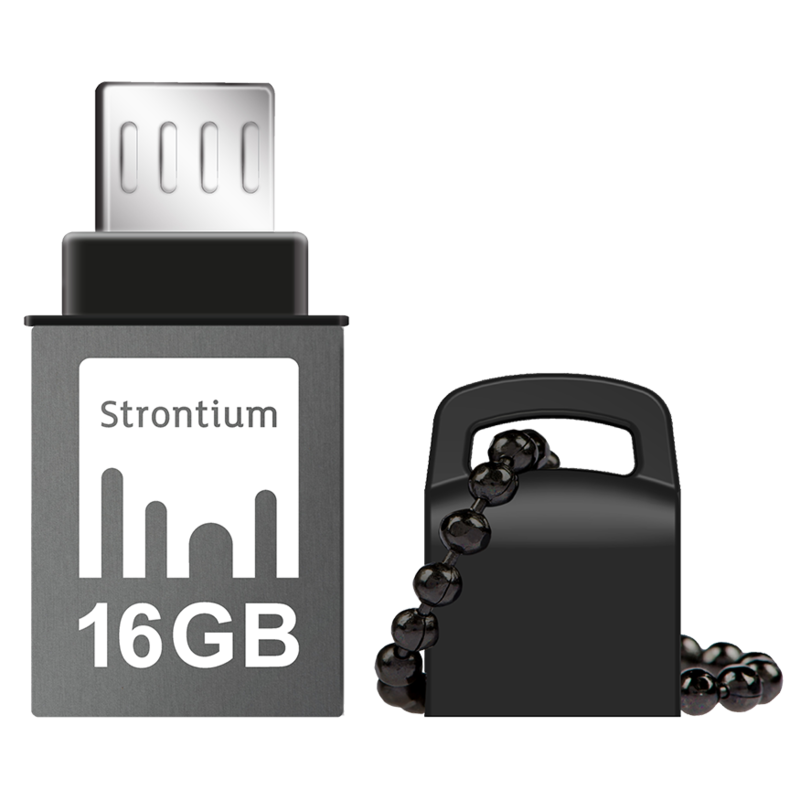 It is available from 16GB – 128GB capacities. Compatibility: USB 3.1 (Gen 1) (backward compatible with USB 3.0 & 2.0), Micro-USB 2.0 compatible with all Android™ OTG supported devices*. Compatibility: USB 3.0 (backward compatible with USB 2.0) Micro-USB 2.0 compatible with all Android™ OTG supported devices*. 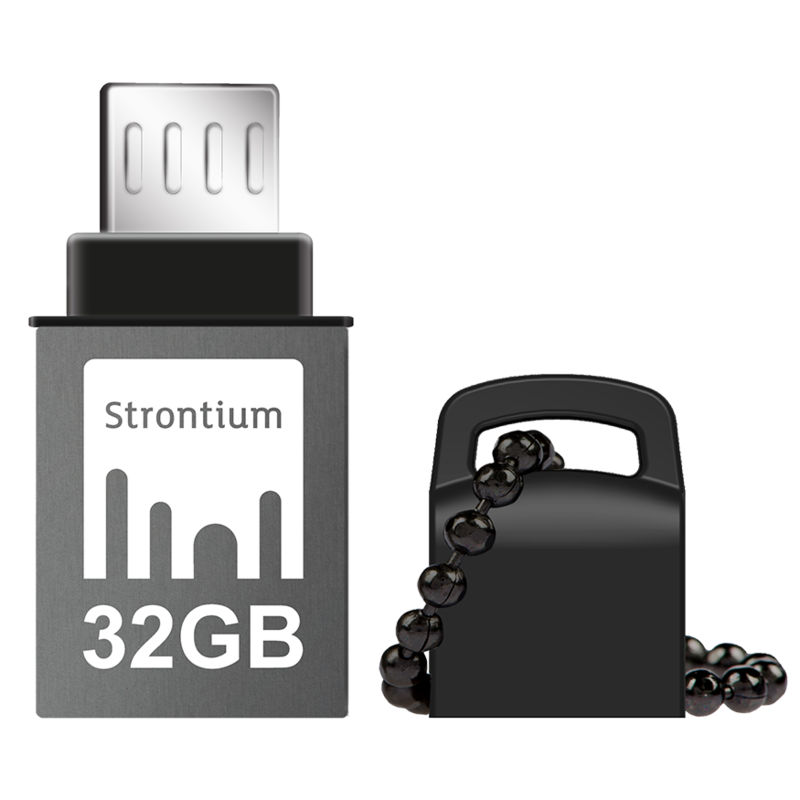 Strontium Nitro Plus On-The-Go (OTG) USB 3.0 Blazing Speed flash drive can store and share digital contents such as movies, pictures, and music from your OTG supported devices like smartphones or tablets to your PC or Mac computer with amazing transfer speed using its dual micro-B and standard Type A USB 3.0 connectors. 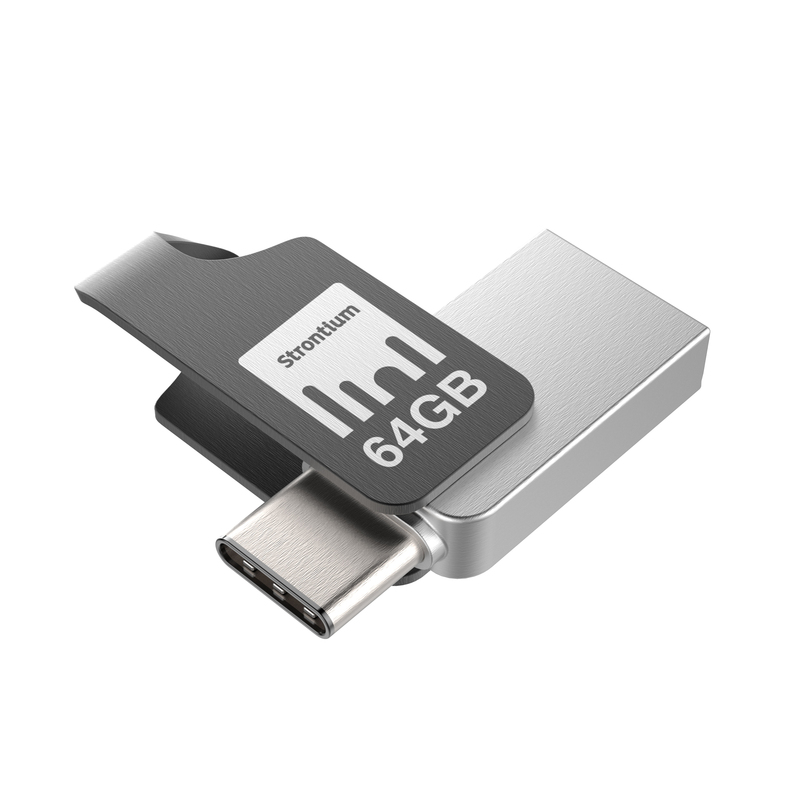 It is used for high speed data storage and transfer between OTG-compatible devices without cable. Strontium Nitro Plus On The Go (OTG) Type C USB 3.1 flash drive helps to store and transfer data between new generation USB Type-C compatible devices (smartphones, tablets and PC) with amazing performance. It is equipped with both USB Type-C & traditional USB connector, with backwards compatibility to your USB 3.0 & 2.0 connection equipped devices. 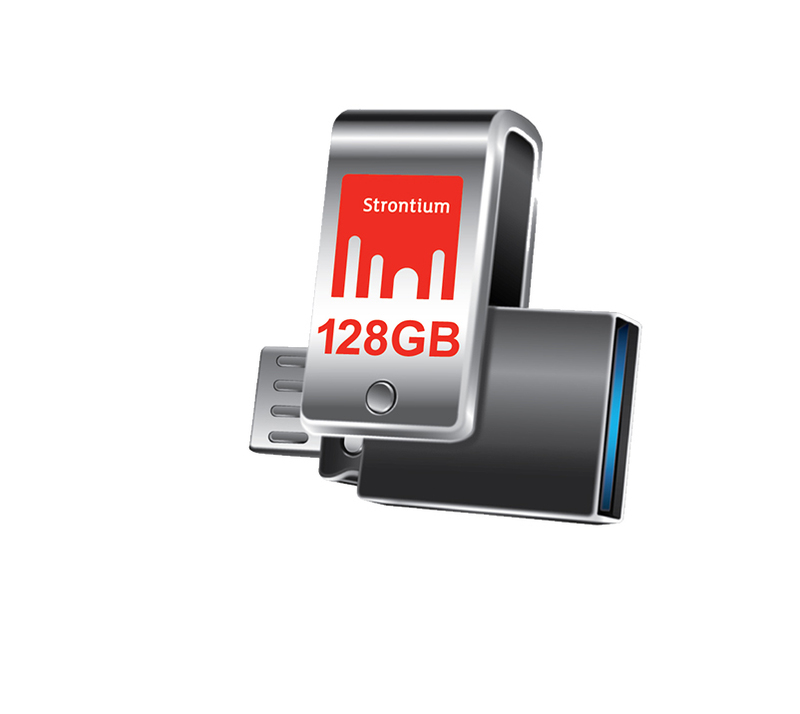 Expands the data storage of mobile devices without a microSD card slot. It is the simplest way of data sharing with just a simple plug in and go. Compatibility: USB 3.1 (backward compatible with USB 3.0 and 2.0) Type-C USB compatible with all Type-C port supported devices*.